Touch your customer, and you’re halfway there. I recently attended an event for young entrepreneurs. I chatted with one aspiring entrepreneur, who explained his ideas for a premium beef business. He explained that he has purchased the cows, but needs more capital to breed them and get the business off the ground. I asked him a question I often pose to aspiring business people. Who is your customer? “People with money,” he replied. “Who’s your customer,” I asked again. You get the idea, but the most common weakness I see in business concepts in many aspiring entrepreneurs is their lack of understanding of their prospective customer base. As a matter of fact, the most common word error on undergraduate papers in my classes is “costumers” rather than “customers.” Microsoft Word spell-check doesn’t pick it up; right spelling but wrong word usage. The students are creating businesses to serve those who make costumes? Errors can occur from two directions. One is that product designers, engineers, scientists and inventors miss connecting a technology and solution to a problem of practical, economic consequence. A solution is created for a problem no one cares about, or at least not enough to pay to solve. Second are business people who understand how to close a sale, but miss the larger issues of customer value creation and passion. They can sell ice to Eskimos, but maybe that isn’t a sustainable long term strategy for growing an enterprise. Walter Isaacson’s biography of Steve Jobs captured the second view. He writes about Jobs’ axiom that companies stagnate when sales people run the show. Aspiring entrepreneurs often miss the basic necessity of creating customer value, and more established companies forget the necessity of continually re-inventing their customer value proposition, otherwise known as innovation. I have to wonder if agribusiness firms aren’t particularly susceptible to innovation myopia by nature of the structure of markets in our industry. Agribusiness firms, as they grow, focus on industry structure, pricing systems, and margin structure. How do we ramp up production capacity while squeezing out every possible cost from the value chain? The nature of competitive markets, particularly those that are commodity-based, tends rightfully to be on per unit cost minimization. Does this lack of structure for strategic innovation among agribusiness firms leave many companies in a bad position in today’s evolving agriculture and food sectors? I find many interesting examples of customer change in markets for ‘alternative’ food products. The USDA in the last month, for example, noted that spending the U.S. for ‘local’ food products is about $5 billion annually. Add this to the almost $30 billion in demand for organic food products in the U.S. and you have almost 5 percent of food spending in the U.S. Many students in my classes, at least those who grew up on farms, as well as friends who work in agribusiness dismiss these markets as markets for hippies and yuppies. There may be a somewhat counter-cultural feel to parts of these markets, but I find much entrepreneurial energy in them. In particular, I find leading information on where markets for food products may be headed. Big changes are afoot, and agribusiness firms that completely ignore these changes do so at their own peril. Michael Porter and Mark Kramer referred to an interesting play by Nestle on ‘local’ in the January issue of Harvard Business Review. 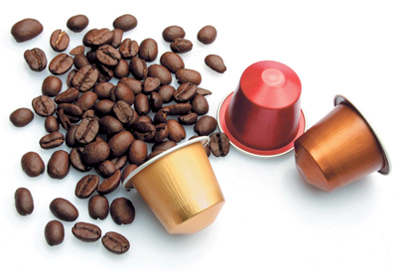 Nespresso is one of Nestle’s fastest growing divisions, with annual growth rates of 30 percent for the last ten years. Nespresso combines an espresso machine with single serve coffee capsule containing unique coffees from around the world. The challenge for Nestle in growing this business has been development of a supply chain of specialized, high-quality coffees. Coffee is produced largely by small farmers in impoverished countries in Latin America and Africa. Rather than work through traditional coffee procurement channels, Nestle has built a system of localized procurement over the course of the last decade. Nestle works intensely with smallholder coffee producers to improve genetics and cropping techniques, all while creating markets that reward quality. While growing its supplies of high quality specialty coffees cost-effectively, Nestle was able to impact the livelihoods of smallholder farmers positively in ‘local’ market channels that span half the globe and represent an efficient, if non-traditional, supply chain. The moment for a broader view of strategic innovation has come to agriculture and the food industry. As host of factors is driving this, including the increasing segmentation of food markets occurring at the same time as the industry faces the challenge of how to produce more. It is incumbent on agribusiness managers to push their organizations toward the new boundaries of market and customer evolution.